Looking for a special gift for that person who is always difficult to shop for? 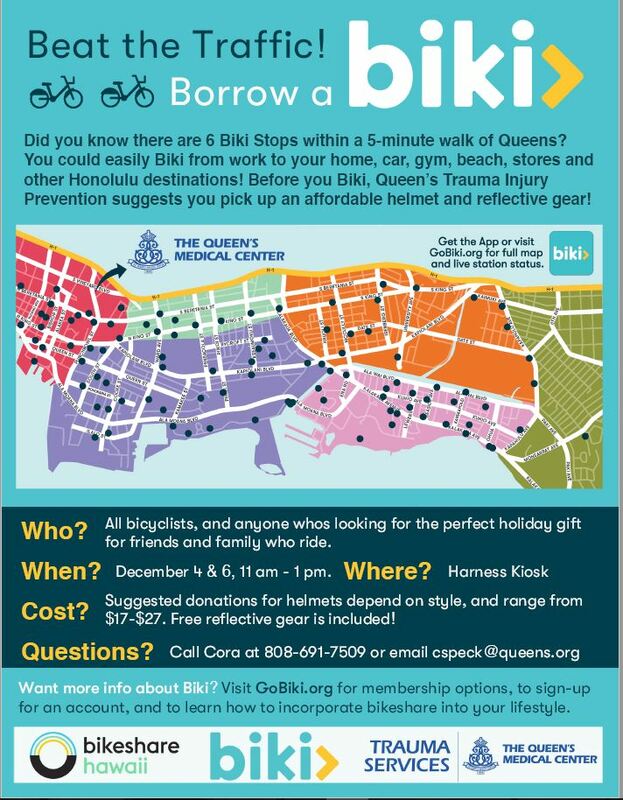 This holiday season, Bikeshare Hawaii suggests Adopting a Biki in their honor! Besides gifting something that is unique and personal, your donation is tax deductible. 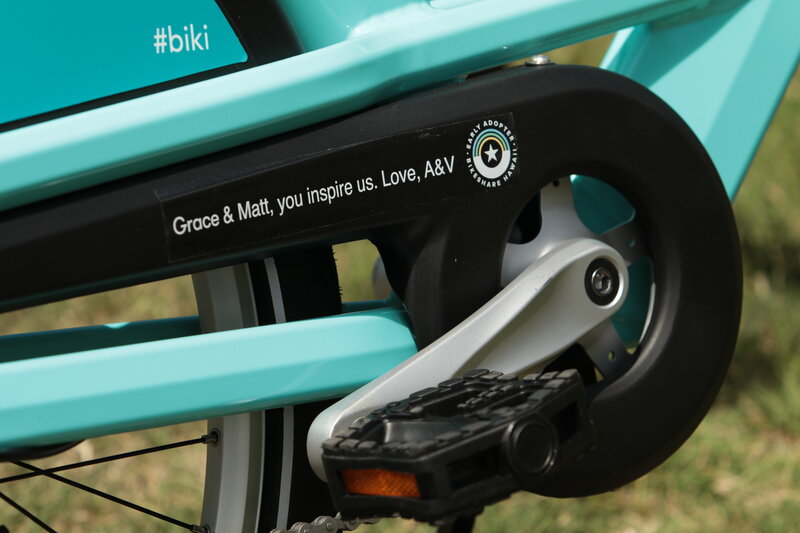 When you Adopt-a-Biki for $1000, you create a personalized inscription that will be placed on a Biki. Then, you will be able to check the dashboard to view your adopted Biki’s activities for years, including: How many people have used it? How many miles has it logged? How many calories has it helped folks burn? 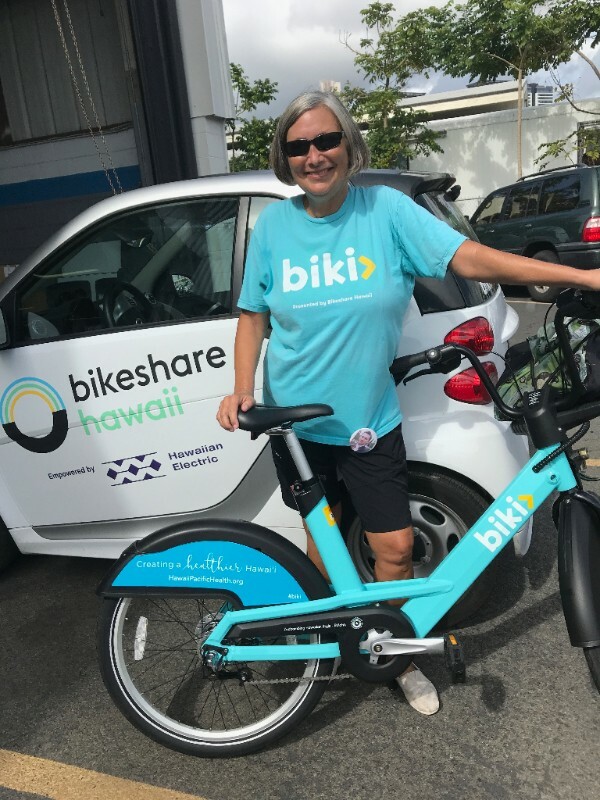 As a nonprofit organization, Bikeshare Hawaii relies upon community support to provide Biki as a healthy, clean and affordable transportation option for residents and visitors. 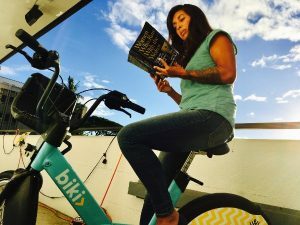 The Adopt-a-Biki program was created as a personal and engaging way to support Bikeshare Hawaii’s mission. It’s a great and unexpected holiday gift for that special someone in your life, and can easily be purchased on GoBiki.org right up until Christmas as a last minute gift. The Biki program is very much a community effort. We truly appreciate everyone’s support in making this public-private-nonprofit partnership succeed. Simply visit GoBiki.org to test out different inscriptions, for more details on the program, and to Adopt-a-Biki. The first 100 bikes adopted will include the “Early Adopter” insignia on the bike. Speaking of Early Adopters, we are thankful to those who have already adopted a Biki and recently reached out to a few to find out what their inspiration was for joining and the meaning behind their inscription. My husband and I transferred to Hawaii from Portland in 2012. As you probably know, Portland is very bike-friendly, even though the weather is far from ideal for bike riding most of the year. We were both very disappointed to see how much reliance on cars there was here in Honolulu, and how little bike riding infrastructure existed, especially since the weather is ideal year round. 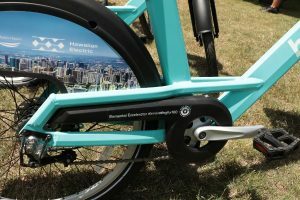 When it was announced in 2015 that a bikesharing option was coming to Honolulu, we were ecstatic. The more bikes we get on the road, the more cars will be aware of us and bike-riding will become safer for all of us. The inscription, “Zoobombing Hawaiian Style”, was a no-brainer for us. The bike was adopted in memory of my son, Ryan, who passed in 2014 at age 33. Zoobombing is a weekly activity in Portland that began in 2002. Participants, primarily young adults, meet at an uphill spot near the Oregon Zoo. They bring what is typically a custom kiddie bike to race downhill on. The preferred bike is a 12-incher (typically used by three year olds). The smaller the bike is, the faster you go! Ryan loved to zoobomb! At Elemental Excelerator, we believe that a healthy community offers a variety of transit options, one of which is riding bicycles! Supporting Bikeshare Hawaii to launch a system that connects Honolulu’s urban core is important for our community. 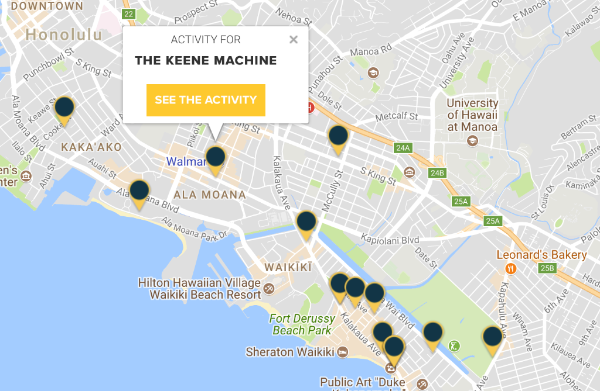 It creates a mobility platform that startups in our portfolio can innovate on and supports our mission by not only creating infrastructure that provides a platform for innovation, but also transforms communities to benefit our keiki and beyond. Elemental Excelerator’s inscription of “#innovatingfor100” means that we are innovating for 100% clean energy, providing access to clean energy for 100% of the people in our community, and innovating for 100% of our ecosystem, including water, agriculture, and transportation systems! To celebrate my 31st birthday, I set a goal of getting 31 members of my book club, The Greener Reader, to donate $31 dollars, towards adopting a bike. I would cover the remaining $39. The stars were aligned for Biki to launch during my birth season. GOMOBAAT stands for Greening Our Minds One Book At A Time. Our book club, The Greener Reader, focuses on reading and discussing texts (and sometimes film) that intersect with the topics of sustainability, conservation, democracy, civic engagement and environmental ethic. Biki is good for the environment by reducing fossil fuels and carbon emissions. It also connects people to their communities. Both Biki and The Greener Reader are dear to my heart, and I love that with the help of my generous friends and family, that I am able to connect them and share their message with other Biki riders and book club members. For more information about the Adopt-a-Biki program, see how your inscription will look on a Biki, or to make your gift purchase, visit GoBiki.org. Have you had a chance to check out the deals offered in our Biki Buys promotion this month? If not, don’t worry, you have until November 30 to take advantage of all the great deals our partner merchants are offering! With Biki Buys, Biki riders will be able to redeem exclusive deals at participating retail establishments simply by showing their Biki pass, same day Biki receipt, or proof of their active account on the Biki Mobile App. Biki Buys deals end November 30 and are not valid with other offers or promotions, and other exclusions may apply. For more information about Biki Buys and details of individual offers and participating locations, visit GoBiki.org or the Biki App. And don’t forget about Small Business Saturday on November 25, a day for you to show your support for local businesses such as the ones featured in our Biki Buys promotion. Hawaii Bicycling League is seeking volunteers for its annual Oahu Bike Count from November 14 to 16. This 3-day event has more than 100 volunteer positions available in 10 locations throughout the island. HBL’s Oahu Bike Count is important because it helps the organization advocate for more bikeways and bikeable streets. Data collected in 2016 showed that the quality of bicycle infrastructure plays a clear factor in whether people would ride on it or take the sidewalk. If you are interested in volunteering, please visit HBL’s Bike Count page. The City and County of Honolulu Complete Streets Program invites community input on solutions to make streets within Honolulu’s urban core safer for pedestrians, bicyclists, bus riders, and motorists.The project includes portions of King Street, Kapi‘olani Boulevard, Pi‘ikoi Street, Pensacola Street, Punchbowl Street, Ward Avenue, Kalākaua Avenue, Kamake‘e Street, and others. 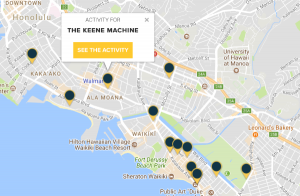 An online interactive website, a survey, and a series of public events are being launched this month to gather input on issues, ideas, and possible solutions being considered. Community input will inform design solutions that balance the needs of the urban core’s diverse users and match community character. The next sit-down sessions will be held on Friday, November 17. These two-hour public workshops will focus on a particular neighborhood, and will include a presentation and discussion of neighborhood-level issues, ideas, and solutions. The Lower Makiki workshop will take place from 11 a.m. to 1 p.m. while the Ward/Ala Moana workshop will be held from 6 to 8 p.m. Both workshops will be at the Neal Blaisdell Center’s Oahu Room. Refreshments will be provided; please RSVP online. Biki bikes grow in popularity, but how clean are they? 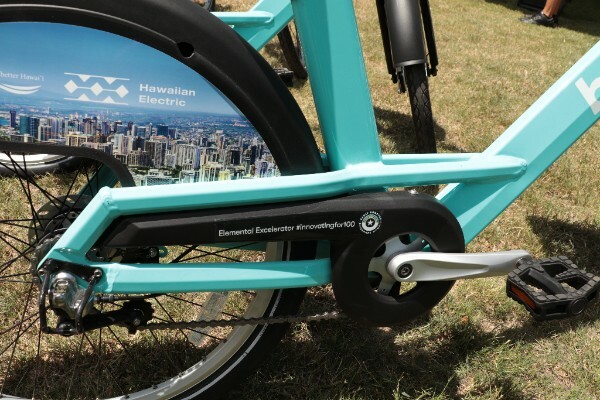 Biki and Bikeshare Hawaii are coming to a community near you. To learn more about Biki and Bikeshare Hawaii, join us at one of our upcoming events below. You can also check our events page on GoBiki.org. Want to include Biki in an upcoming event? We work with local groups and organizations to teach the community about Biki and bikeshare through workshops, rides and presentations. If you are interested, submit an Event Opportunity Request to get started! Want to receive monthly Biki updates by email? Subscribe to our e-newsletter to get the scoop on the latest news, promotions and events.